As another school year comes to a close, Delta Xi Phi sisters across the nation are being awarded for their efforts at their respective schools. There have been many sisters and chapters working hard to promote academic excellence, multicultural awareness, community service, along with developing their chapters and setting themselves up for success. 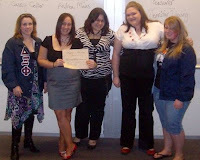 This post reflects only some of the awards won by sisters and chapters during the past 2009-2010 school year. At the Gamma Associate Chapter, sister Tara Pflomm won third place in Sigma Chi’s Derby Darling Competition this past year while Kayleen McGuckin was inducted into the Order of Omega. 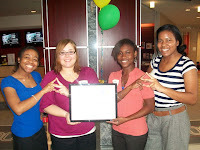 At the Sigma Associate Chapter, the sisters won the Chapter Programming award. The Delta Chapter won an award at the UIC Greek Life Awards for their chapter development this year. Delta Sister, Duaa Sharfi (pictured right), also earned an award for Outstanding Greek Scholar for her commitment to academics and promoting it to her community. The Upsilon Associate Chapter won the Olympus Bowl, which is a presidential Greek award for the Most Outstanding Greek Organization at the Keene State College Campus. 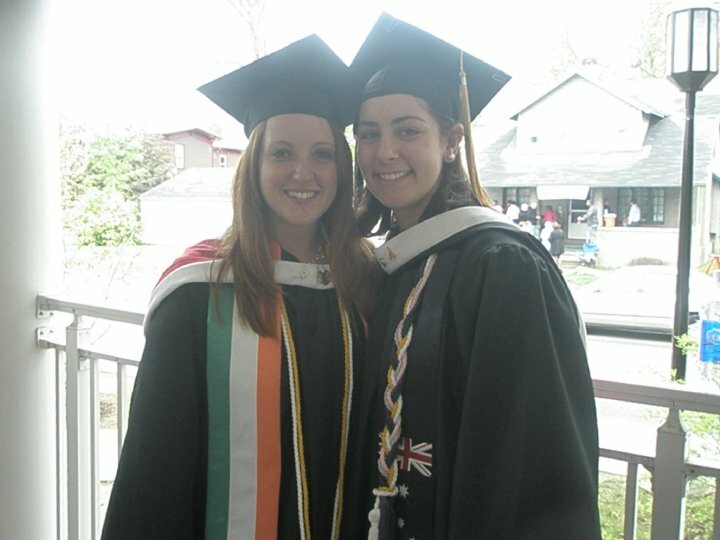 Also, sister Alisha Stevens (pictured left) earned the Excellence in Mathematics Education Award as a graduating math major. 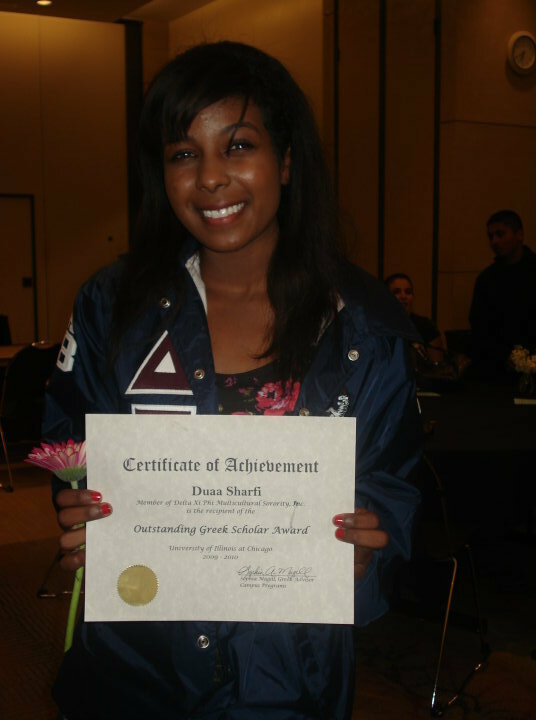 Eta sister, Samira Payne, won an award for the Greek Junior of the Year. 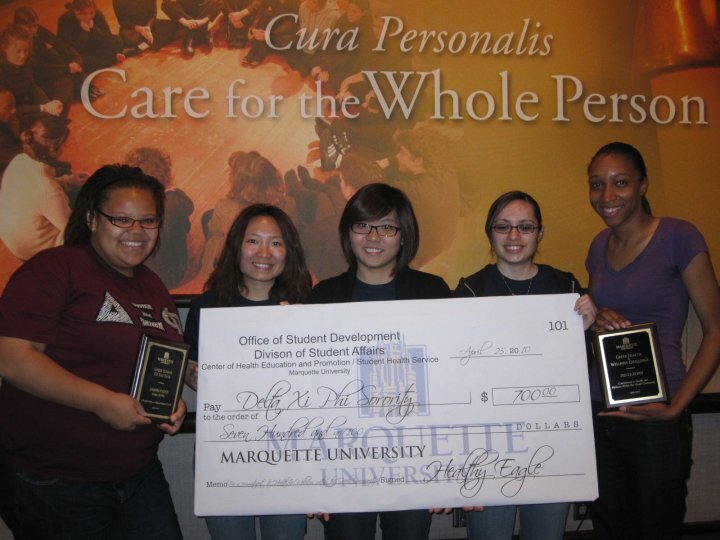 The Eta Associate Chapter (pictured left) also earned an award for health and fitness that included $700 for programming in the upcoming 2010-2011 school year. The sisters at the Xi Associate Chapter won several awards for their hard work this semester. Ashley Osburn won an award for having the most hours of community service(108) in the Independent Greek Council. Cassy Collier won an award for the New Member of the Year and Jennifer Young won an award for President of the Year. 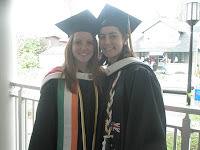 As a chapter, they won the Independent Greek Council Chapter of the Year 2009-2010 and they had the Highest GPA of all Sororities/Fraternities on the Bowling Green State University Campus in the Fall 2009. They continued their success in the Spring by having the Highest GPA for two semesters in a row. As a new (Greek) organization on the Ohio State University campus, the sisters at the Phi Associate Chapter won several awards competing against 63 other Greek organizations. They won the William H. Hall Chapter of the Year Award, Recognition as Activists for Diversity, Outstanding Scholarship Program Award, and Outstanding Diversity Program Award for their “That’s So Gay!” GLBT Awareness Event. They beat out many of the 900 other student organizations and won the Outstanding New Student Organization Award as well (pictured with the award left). In addition to all of those awards, sister Lauren Eskin, won the Greek Life Living the Ritual Award for her commitment to all of the five pillars. “In all that she says, does, and works so hard to attain, Lauren is the perfect example of living the Delta Xi Phi Multicultural Sorority, Inc. ritual: a daily commitment to the pillars of Delta Xi Phi Multicultural Sorority, Inc. It is truly be a privilege for our chapter to honor Lauren’s contributions to our sisterhood and dedication to all that it stands for through this living the ritual award,” said Eskin’s fellow Phi sisters as they nominated her for the prestigious award at OSU. 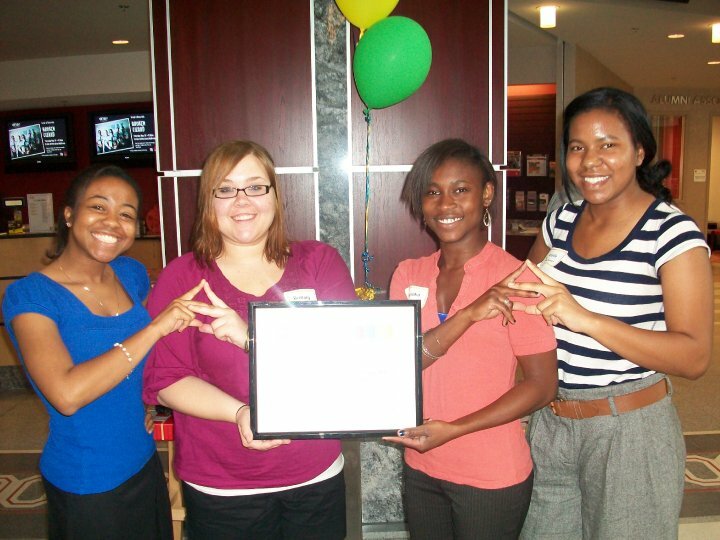 Congratulations to all Delta Xi Phi sisters and chapters!